We haven’t visited in a while but should go back to try out the new Gruffalo ride, goodbye Bubbleworks you had your time but alas no more. It had started to look quite dated so I think it was a wise move Chessington. I really like this theme park; it has a nice variety about it. The live show was a big hit with our boys. Don’t skip the arena whatever you do; they also have photo opportunities with the characters. 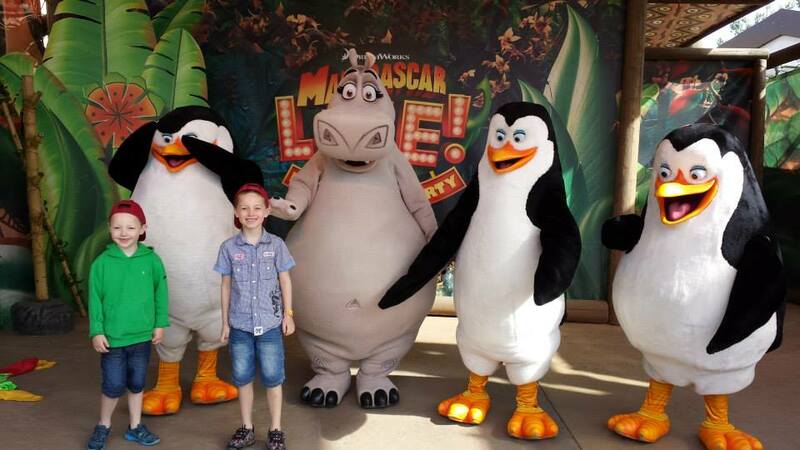 Mine met the Madagascar characters but you can meet the Gruffalo himself and animatronic Pandas over at their special arena closer to the zoo. It has some great rides like Tomb Blaster and Scorpion Express, some we have been putting off too like Kobra, Dragons Fury and Rattlesnake because we haven’t felt quite brave enough yet! 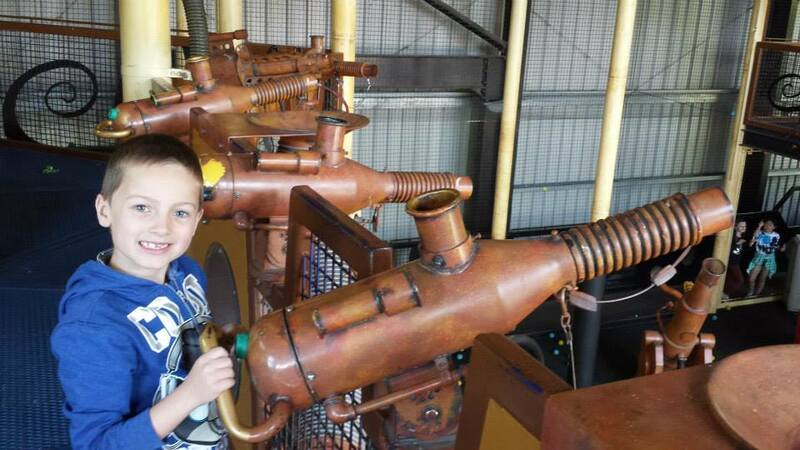 On our next visit I am sure the boys will be feeling ready to try one of those out. Myself I am still happy on bag duty! We have been over the Easter holidays and it can get quite busy as you can imagine, but you can break up your queue time by walking around the zoo perhaps getting yourself a nitrogenie ice cream to enjoy on the way round (they are so good!). There are animal talks and feeds but we missed these as we were cramming in all the rides we could. We did find time to see the AMAZU monkeys and that was worth it. 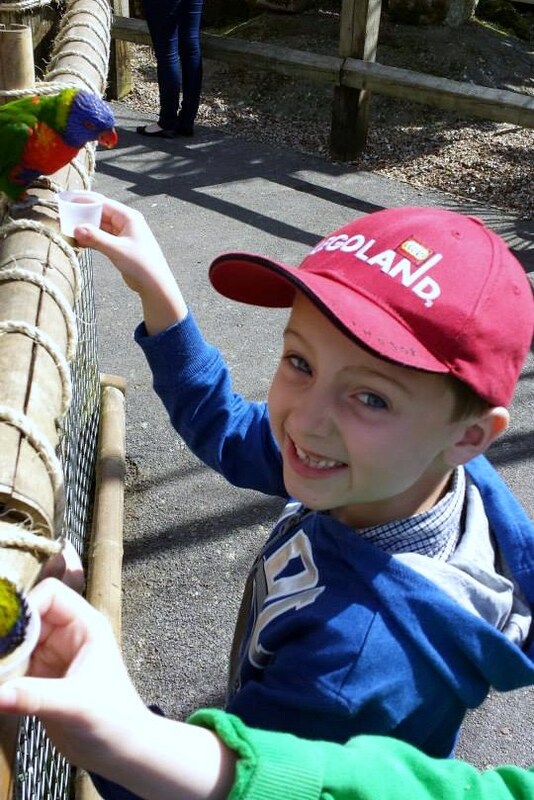 One of our favourite memories was feeding the lorikeets; you buy a pot and its well worth it getting so close to such beautiful birds. Temple of mayhem is good to burn off some excess energy! Running around trying to collect balls to shot at everyone. It’s great fun, although sadly I think my two might be getting too tall to do this soon. Writing up about Chessington has made me nostalgic to return soon!